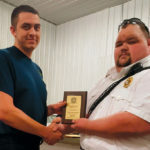 State Fair FD Awards | F.F.A.M. 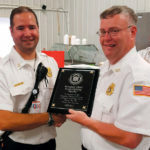 At the Awards Ceremony and Business Meeting held Saturday, August 19, at the Missouri State Fair Fire Department, it was decided that the Department Union will be making several donations to various causes. 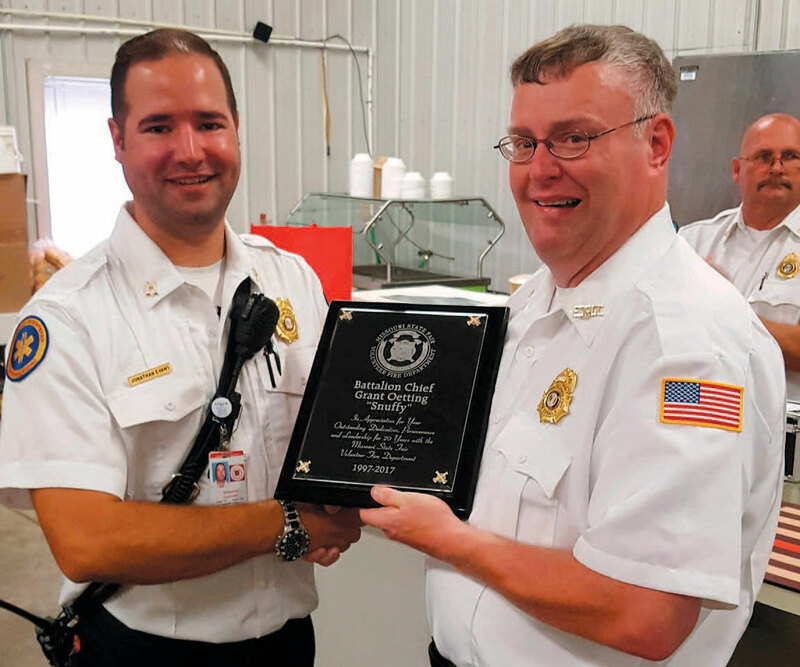 The Missouri State Fair Fire Department (MSFFD) Union collects fines during the fair from firefighters and EMS personnel to raise funds for these different donations. It is all done with good intentions. 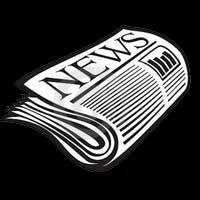 The fines are collected from personnel who have committed silly actions the previous day and gotten caught. 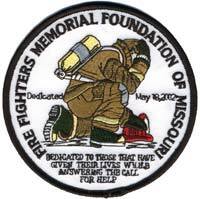 The first donation will be used for the 2017 9/11 Memorial Stair Climb in Jefferson City which will be hosted by the Missouri State Fire Marshall on September the 10th at the Jefferson Building. The MSFFD has elected to donate $350 to sponsor a floor during the stair climb. 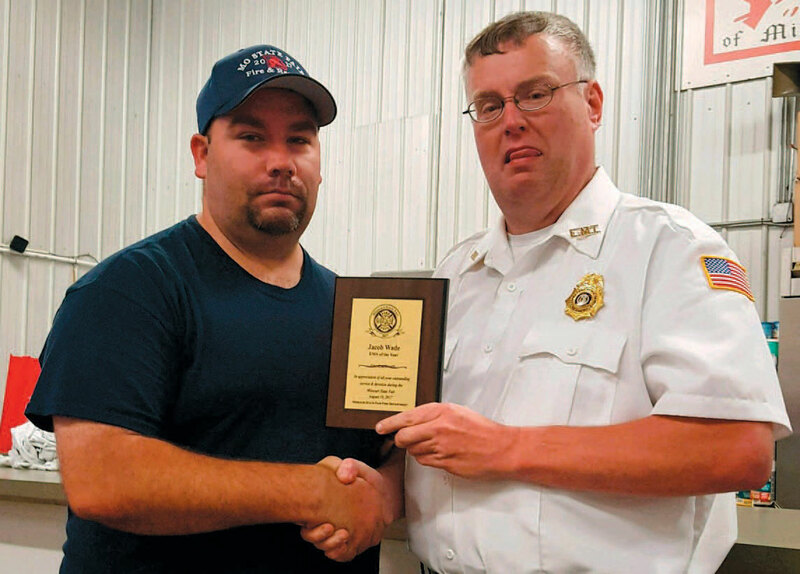 The fire department will also buy three bricks in memory of fallen Firefighter Jeffrey Sanders of Mayview, Captain John Kemper from St. Louis FD and Firefighter Jesse Ketchum of Memphis who lost their lives in the line of duty. 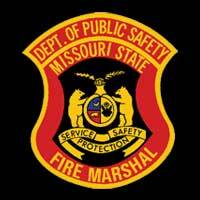 The department voted to purchase a fourth brick for the 2017 MSFFD. These bricks will proudly be displayed at the Firefighter Memorial located in Kingdom City. 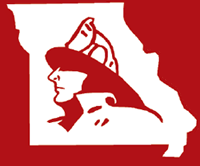 A donation of $500 will be given to the Firefighters Association of Missouri Museum to help support a new building and training center. The last donation will be given to the Supporting Heroes organization in the amount of $275. 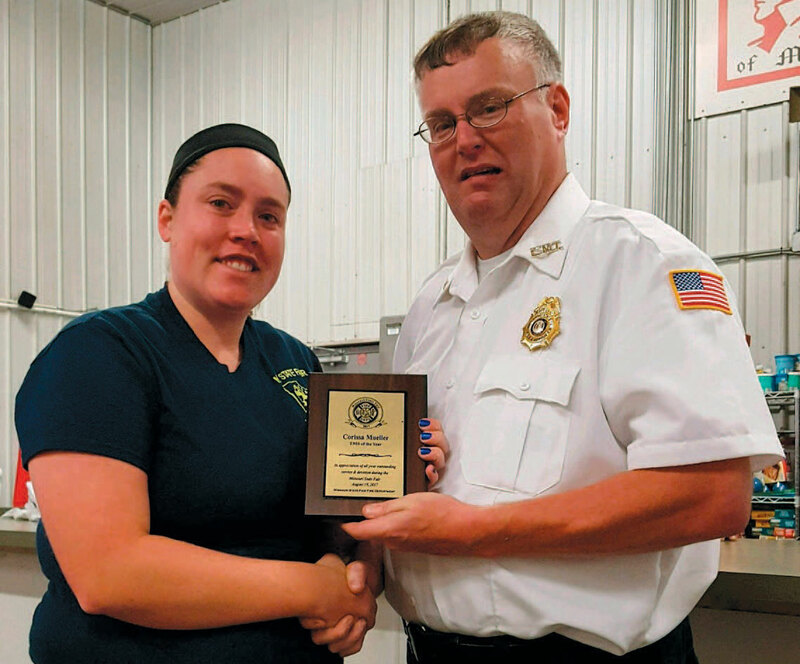 Their mission is to honor the service and sacrifice of public safety heroes who give their lives in the line of duty, by caring for the loved ones they leave behind. Special recognition was given to the few who rose higher than expectations, and those who will not be with us next year. 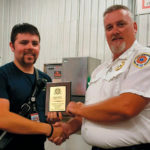 The first award for Dispatcher of the Year was given to Benjamin Burd from the Johnson County Fire Protection District. 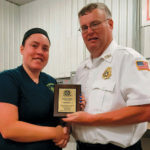 Two individuals were awarded EMT of the Year, Carissa Mueller of Holts Summit Fire Protection District and Jacob Wade of the Johnson County Ambulance District. 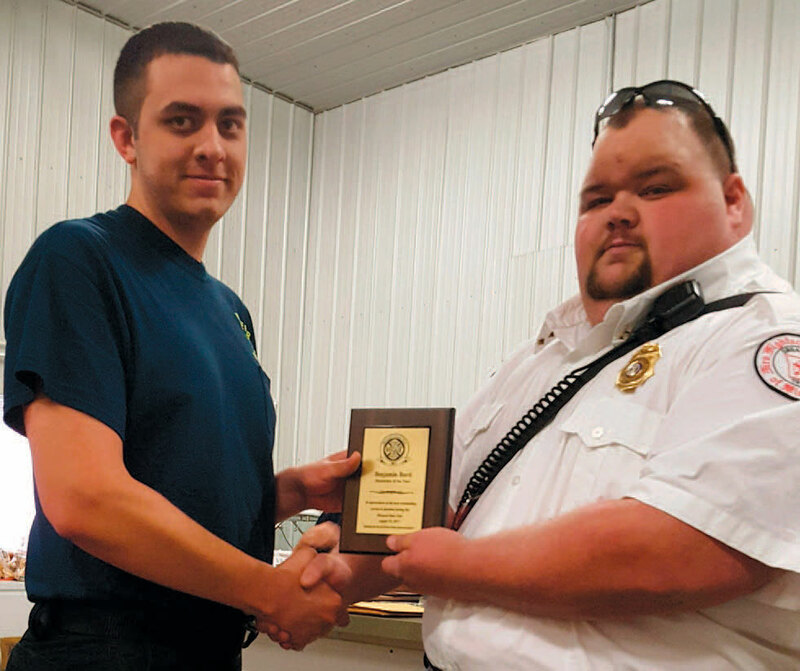 Dylan Honea of Southern Stone Fire Department was recognized as Firefighter of the Year. 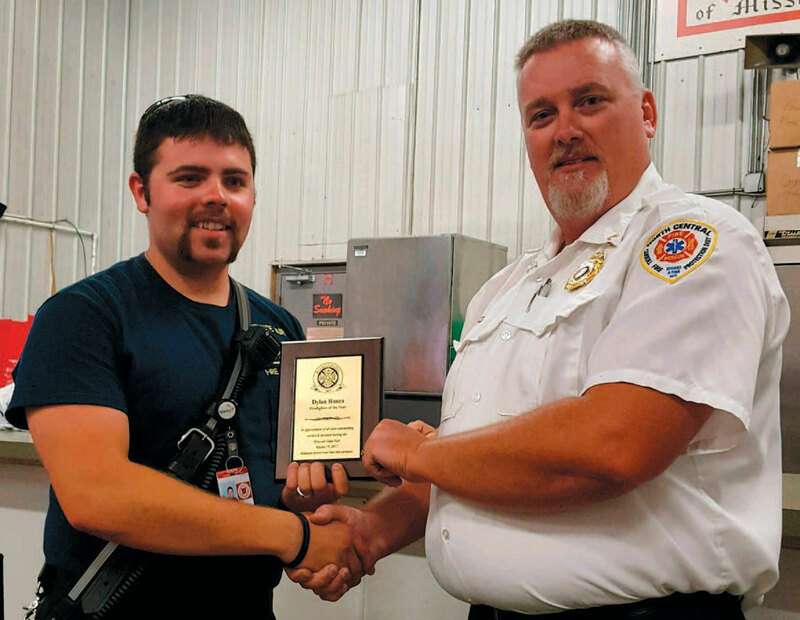 The last individual to be recognized was Grant Oetting from Higginsville Fire Protection District. Grant has served the Missouri State Fair for the past 20 years, but sadly, will not be joining us for the 2018 State Fair. 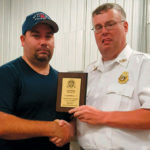 He will be missed by everyone at the MSFFD, and we hope that he will still come around to visit. 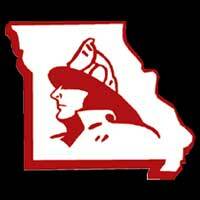 We appreciate everyone who has given their valuable time and talents to the Missouri State Fair each year, and we hope that more people will consider becoming a part of this department for 2018.